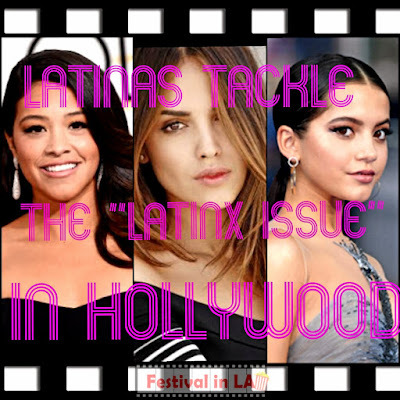 The recent announcement of a handful of new films with Latinas in the cast makes us feel optimistic about the future of the Latinx in Hollywood. Gradually, Latinas are rising to accomplish a significant representation in the competitive film industry. Gena Rodriguez. Copyright © 2016 Golden Globes. The names of some young, beautiful and talented Latinas stand up substantially – Gina Rodriguez is starring in several new projects: "Where in the World is Carmen Sandiego," "Someone Great" with Rosario Dawson, "Sharon 1.2.3." with Nadine Velazquez and Skyler Samuels, and in the Hollywood remake of the Mexican Oscar submission "Miss Bala." Isabela Moner. Copyright © 2017 Paramount London. The talented Cleveland born, Peruvian descendant Isabela Moner (“Sicario: The Day of the Soldado,” “Transformers: The Last Knight”) is the lead in the movie version of "Dora the Explorer" with Eugenio Derbez and Eva Longoria. She is also part of the cast of Sam Ander’s “Instant Family” opposite Mark Wahlberg. Eiza Gonzalez. Copyright © 2018 Festival in LA. Mexican new sensation Eiza Gonzalez (“Baby Driver”) is working on numerous projects as well. 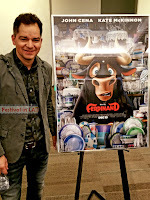 “Paradise Hills” by the Spanish director Alice Waddington, “Highway” also known as “Highway is for Gamblers,” “Kung Fury 2” with Michael Fassbender and Arnold Schwarzenegger, “Bloodshot” next to Vin Diesel, RZA's “Cut Throat City,” and in a film that is generating an Oscar buzz “Welcome to Marwen” with Diane Kruger and Steve Carell. But still, there is more work to do to be competitive in the industry. 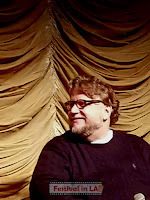 Latinos need to mastermind the Hollywood system to perfection. They need to promote themselves with worthy projects, competing in film festivals, and advocating during the award season. 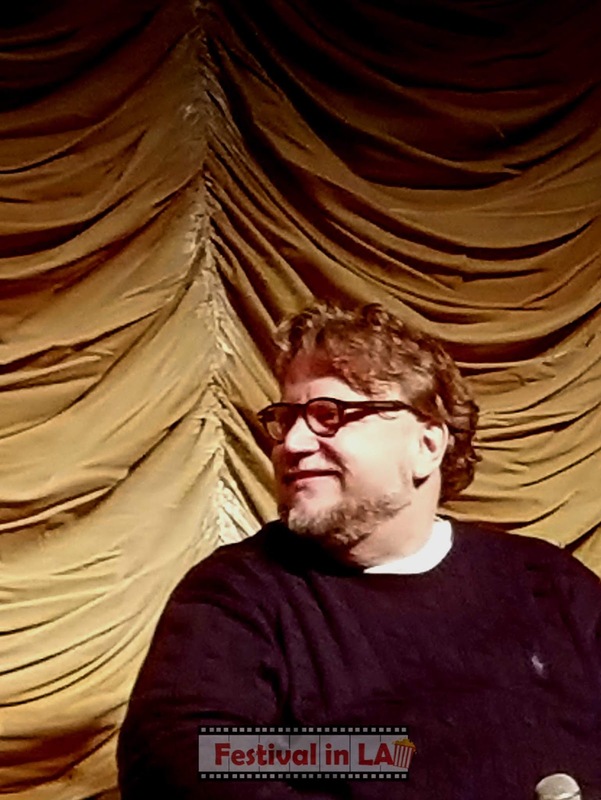 Meaning to produce quality films that can give Latinos the opportunities they need for recognition, the three amigos, Del Toro, Cuarón, and Iñárritu, vow to tackle the “Latinx issue” in further projects. We all know roles are given to the best candidates, regardless of their ethnicity – writers, directors, and casting agents need to have more Latinos, Asian Americans, and Native Americans on the radar for the much-needed essential diversification in Hollywood. For instance, the summer hit "Ocean's 8," with an all-women cast... the action-heist movie presumptuously promoted as “diverse,” but the absence of Latinas is not acceptable. The world is not black and white as Hollywood is perpetuating it. The concept of "diversity" is in our constitution but not in our cinema. Women in Hollywood are taking the world by storm performing, producing and directing big blockbusters such as "Wonder Woman," "Ghost Busters," "Girls Trip," and even in the cast of "Black Panther" where women are predominantly essential to the story. 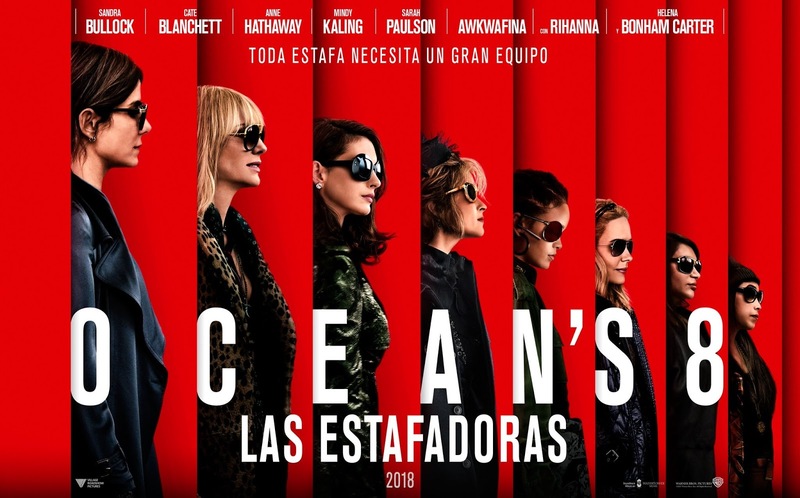 Ironically, the lack of Latino actresses in those big movies is shocking. Women are also creating a significant impact on the independent circuit, directing Oscar© nominated pictures such as "Lady Bird," "Mudbound," and "I, Tanya." While their work is valued highly, we encourage them, urgently, to apply the concept of "diversity" in their cast for further projects. Early this year, before the Oscars©, a protest by a group of angry American-Latino actors took place in Hollywood. They were fuming over the absence of "American Born Latinos" in the acting categories. Indifference blinded the protesters who were not able to support other Latino projects, such as the Best Foreign Language Film masterpiece “A Fantastic Woman” from Chile. On the one hand, they were right because it was true --- no Latino actors were nominated. 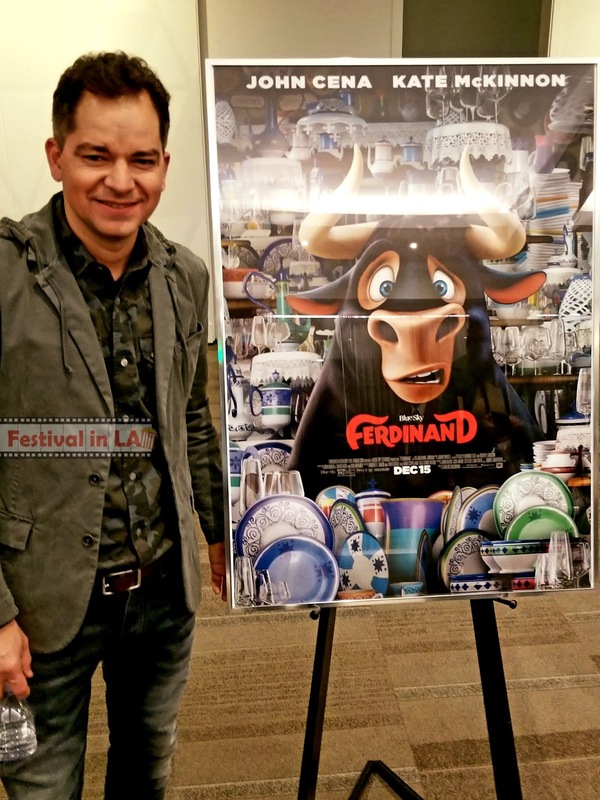 On the other hand, they were counting-out the foreign-born Latinos who got nominations in different categories like Guillermo del Toro for "The Shape of Water," Sebastian Lelio for "A Fantastic Woman,” and Carlos Saldanha for the animated feature "Ferdinand." Daniela Vega. Photo by Jose A. Hermosillo. Copyright © 2018 Festival in LA. 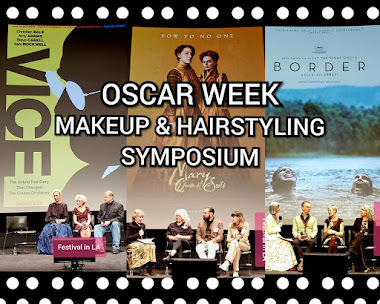 Sony Pictures Classics did not release "A Fantastic Woman" on time to make the lead actress Daniela Vega to qualify for Best Actress. She could have been the first Latina to be nominated since Catalina Sandino Moreno for “Maria Full of Grace” in 2006. She could also be the first transgender actress ever to be nominated for an Oscar©. Latinos overlooked the invitations to embrace the foreign talents such as the Chilean director Sebastian Lelio, who at that time was doing the post-production of "Disobedience" in London and directing the English version of "Gloria" in Hollywood. Many "American Latina actresses" would kill to get that part. The role went to Julianne Moore. 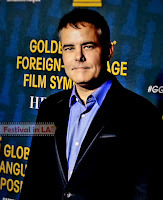 Latinos in Hollywood must know how to run a successful campaign, reach out to the press, and get the attention of the Academy members, like the British, Italians, and French do. 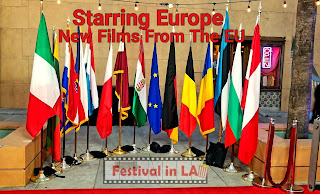 Europeans have more accomplishments and nominations representing their own cultures in the mainstream media than Latinos in Hollywood. They know how to embrace and run an effective campaign for their projects. 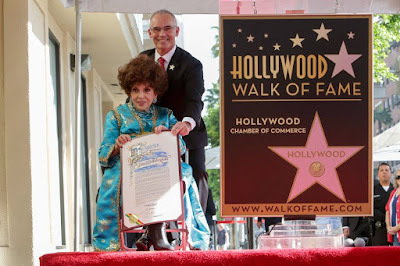 They even take the extra lap to do whatever it takes to honor with a star in the Hollywood Walk-of-Fame for one of their celebrities yearly. Latinos don't do that. What they think is that is not their job to adequately promote their people all the way. Gina Lollobrigida, Hollywood Walk of Fame. Photo courtesy of Instituto Italiano Di Cultura Los Angeles. In an ideal world, American-Latinos and Latin-Americans must work together to produce meaningful projects without the nationalistic rhetoric, and consummate a common goal for recognition – excellence. 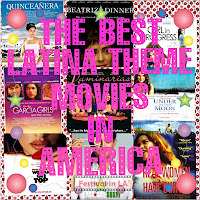 Furthermore, here are some ideas to make inspirational films on the lives of American-Latino icons such as the legendary Mexican-American singer Linda Ronstadt with her top-seller album “Canciones de mi Padre...” or the renowned Venezuelan-American fashion designer Carolina Herrera. Other suggestions, Jovita Idár, a teacher, journalist, and activist who raised her voice against the Texas Rangers' killings of Mexicans in 1914. Some other personalities would be great subjects for biopics: Sonia Sotomayor: the Associate Justice of the Supreme Court, and a film about the Secretary of Labor Hilda Solis. All of these stories would be satisfying to watch on the Big Screen. 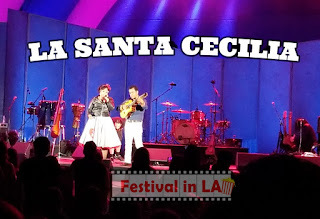 La Santa Cecilia at the Hollywood Bowl. 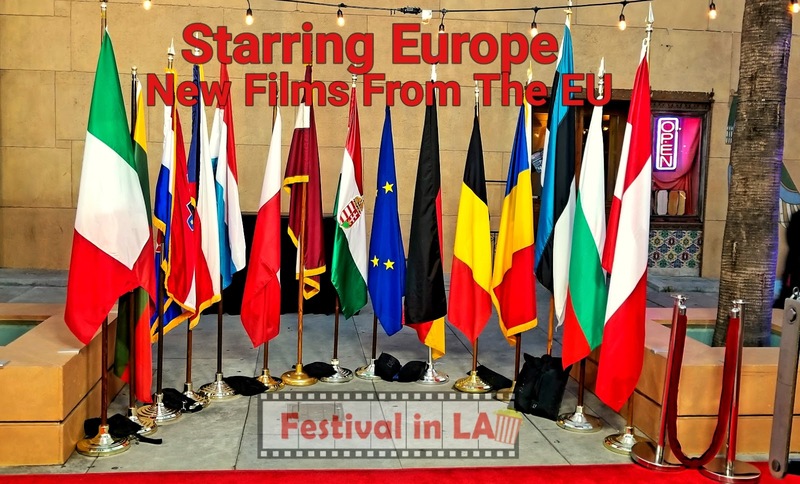 Copyright © 2018 Festival in LA. The new generation of Latinos in Hollywood have the responsibility to turn the cliches upside down to reach for universality. Remember, Latinas in the United States have plenty of stories to tell and beautiful films to make.